Missouri can be looked over when hunting for that monster buck. 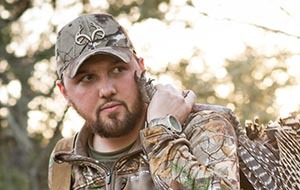 Join Tyler Jordan as he recounts the best hunts from Missouri. Trying to self film an archery hunt can be tough. This episode Paul and Ty Biggs put their skills to the test in Oklahoma. 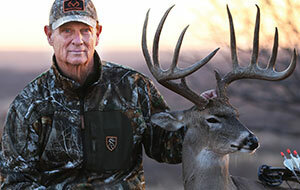 Uncle Randy and Jamie are hunting on the SOE ranches in Texas for whitetails. This hunt proves to be a touch week of shooting for Uncle Randy! Can he redeem himself? Guy slow smokes tender St. Louis cut ribs. Dan makes Cast Iron Peach Cobbler & Ice Cream from scratch, all in their Cabela's Pellet Smoker Grills! Brand New Footage! 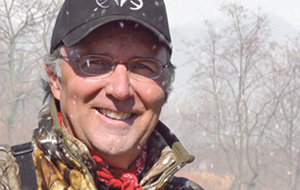 Tim heads to Missouri for a late season deer hunt. 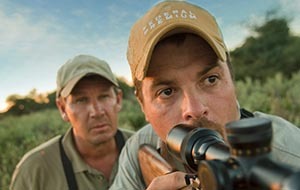 Join us as we tell the story of 2 brothers who have graduated from our 'Film The Hunt' video courses. 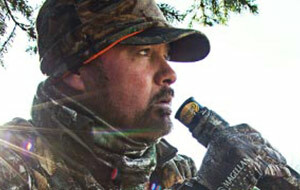 From their talents as producers to their success as whitetail hunters. 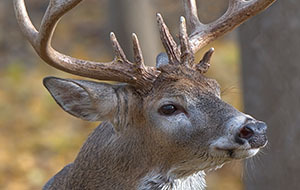 We visit their family farm that they have helped turn into a whitetail wonderland. Nick Pujic is back from Canada to get his first mule deer while Agnie gets a chance to fill her own deer tag. 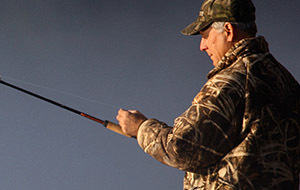 The In-Fisherman staff has secret destinations to share, as they travel to waters in the Mississippi Delta for giant crappies, hit pits and ponds in Illinois and Texas, and slide up and down a small river for backwoods channel catfish. TVA lakes don't only hold largemouth! 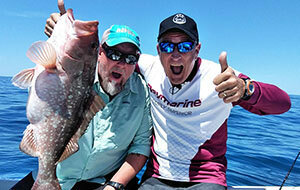 The Sweetwater guys catch all kinds of fish on Nickajack Lake. 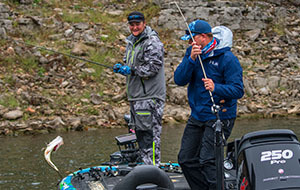 Jim offers a unique challenge to award winning angler David Dudley. Join Italo as he uses fiddler crabs for Sheepshead along concrete abutments. 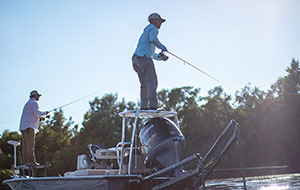 Florida's fishing opportunities are unlike any other region or state, seemingly endless in species to target and locations to launch from, but there's an underlying thread that ties them all together; water--clean, healthy water. 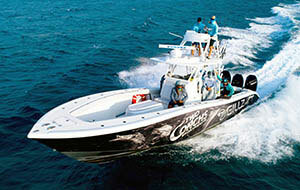 Feel the passion of fishing in Florida through the souls of the people living to protect it. 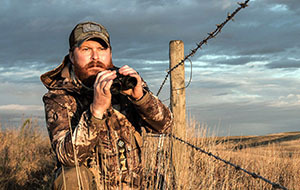 David Draper joins Rob Dykeman, president of Excalibur Crossbows, as they sweat out the last days of summer on a tough hunt for early season pronghorns on the Wyoming prairie. 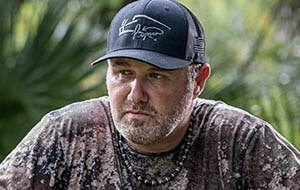 Pigman heads overseas for the first time in years as he and Junie embark on a three episode special DOWN UNDER. Part three of three. After the wild fires in Kansas, Slade will be hunting an all-new place in his favorite state of Kansas. This week, Tom Bissenden follows Father Ryan on his bull moose hunt in the Yukon before taking off to a new area to hunt for caribou and moose himself. 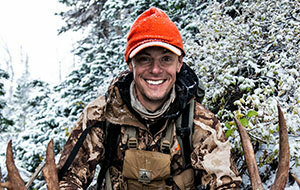 Danny Farris faces challenging conditions but a change in tactics leads to pronghorn success. 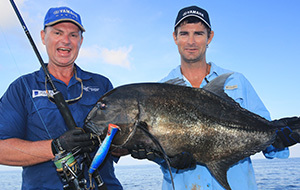 Al McGlashan heads to the beautiful Snowy Mountains to take on his old mate Tom, the freshwater king. They chase trout across the picturesque Lake Eucumbene, check out an eco-hut and head up the river to settle the score once and for all. 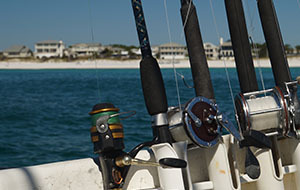 Chamber of Commerce Director Megan Harrison teams up with Captain Larry Pentel of Dead Fish Charters for an early season trip as the weather and fishing begin to heat up in South Walton. 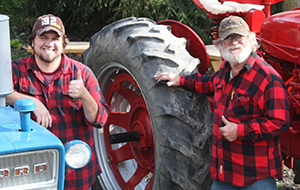 Jack gets a special chance to work with the Make-A-Wish foundation and help make a young man's dreams come true. Dylan typically chases after Bass in Massachusetts, but has always dreamed of landing a monster Cuda and Permit in the sunny Florida Keys. The action continues with hand feeding sharks at the one and only Aquarium Encounters. Join Jarrett Edwards and Nate Zelinsky as they fish Cherry Creek Reservoir in Colorado for spring time walleye. 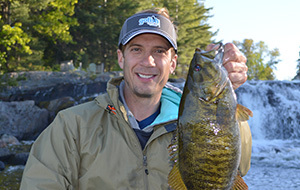 Ty Sjodin drives to Red Lake and embarks on a double your pleasure, double your fun fly-in trip in Ontario's Sunset Country. 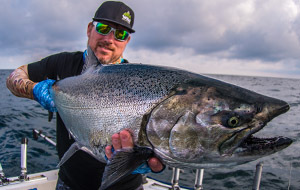 Ty discovers outstanding walleye and lake trout action at Cat Island Lodge and a lifetime moose hunt while flying to one of Excellent Adventures many remote outpost camps. 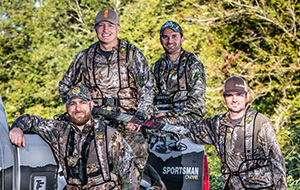 J-Rod and the Sharp boys meet up in the southwest to hunt turkeys in Oklahoma and Texas. 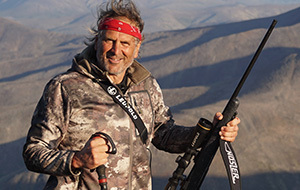 Rick Kreuter hunts mule deer in Colorado with his Browning rifle. Sometimes the future arrives slightly ahead of its time, and often, from an unexpected direction. 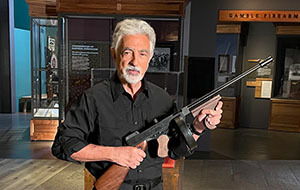 With almost 100 years in production, the lever action Savage Model 99 is unequivocally one of the most successful rifles in the world. But not the way its inventor, Arthur William Savage, envisioned. The Gunny heads back to Camp Pendleton to rip through some rounds with the devastating Mark 19 automatic grenade launcher. 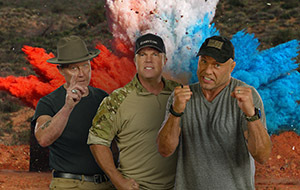 Later, The Gunny gets back in his civvies to fire some old-school artillery, the 1841 12lbs Mountain Howitzer, and 50mm Krupp Mountain Gun with history buff and weapons expert, Gary Harper. 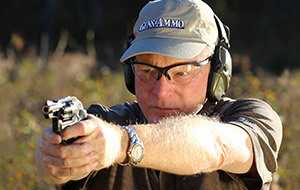 G&A TV spends some quality time with suppressors this episode and examine how heat effects them and how they increase long-range shooting performance. If you're a Marvel fan - stay tuned - we handle the firearms of the blockbuster hit Black Panther. 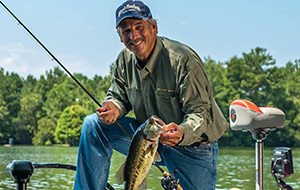 Berkley's Sweepstakes winner has no idea what it's like to fish with Hank Parker, but he's about to get an eyeful. Hank & his winning guest are headed to Venice, LA for the time of their lives landing the prize of sweet victory ... giant redfish! Bob and a couple MOA Rifle clients join Tim Titus of No Off Season in eastern Oregon, for a long range rockchuck shoot. The Armstrong girls use their hunting off season time to do some of their favorite activities. 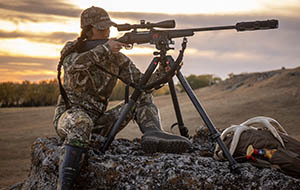 Host Jana Waller heads to the Cowboy state with cameraman Jimmy as the two spot and stalk both mule deer and antelope with their Nosler rifles. Kids truly are the future and nothing brings out a smile like watching kids have the time of their life outdoors. 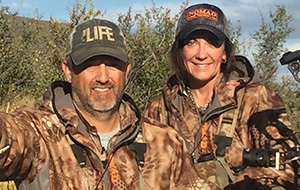 This episode features some of that pure happiness and joy hunting brings to families everywhere, ours included. 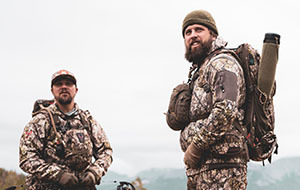 Ryan Callaghan and Aaron Evans join Steve on an epic adventure in British Columbia's Rockies to pursue grizzly bears. 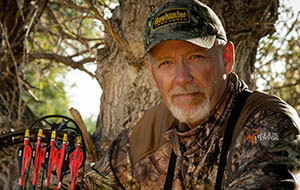 Steve has set specific means of take, guided by personal ethics, for his grizzly bear hunt. 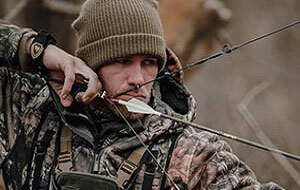 The hunt is dampened by weather but Steve finds a way to fix a tasty meal. Steve argues in favor of the pronghorn antelope outside of Casper, Wyoming. On the same morning in different states, Jason Brown and Casey Keefer have separate encounters that keep them on their toes. 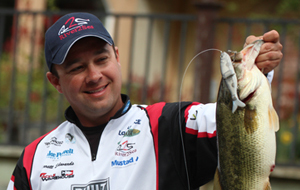 Chris readjusts in Kansas, finding new goals and a new mindset. 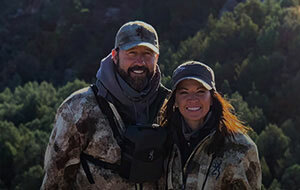 This week, NAW TV team Jeremy Moore with his wife, take us along for a look at their fall in Wisconsin, Dr. Kroll concludes our Oklahoma Build Your Own Deer Factory project, Gordon talks about setting boundaries in On Target and then shares another giant set of Canadian sheds with us. 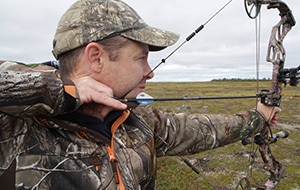 Levi heads to the Yukon with a moose and caribou tag with hopes of striking gold. Join the Dominant Bucks pro staff as they demonstrate tips and tactics for self-videoing a successful buck hunt. High-quality footage of the challenges of bowhunting mature dominant bucks! 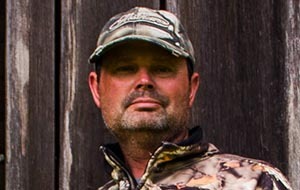 Jeff Danker is in Ohio in pursuit of a 180+' whitetail that he has several years of history with. 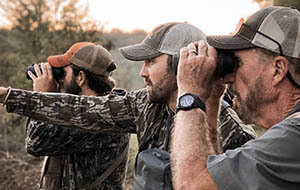 Jacob Landry and a lucky sweepstakes winner hunt Montana and Jacob shares a special father and son hunt in Louisiana.